Trumps Music offers professional, speedy, customised guitar and bass setups to suit any style or player's needs. This is same day service in most situations, with guaranteed results. Trumps Music also offers on-the-spot professional guitar & bass restrings. 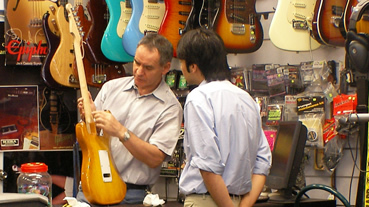 Please bring your guitar in for a consultation, or call us on 0409 995433. Professional amplifier repairs are also available, generally with a very quick turnaround. Please bring your amplifier in for a consultation.